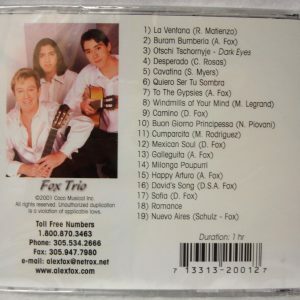 SKU: CD7. 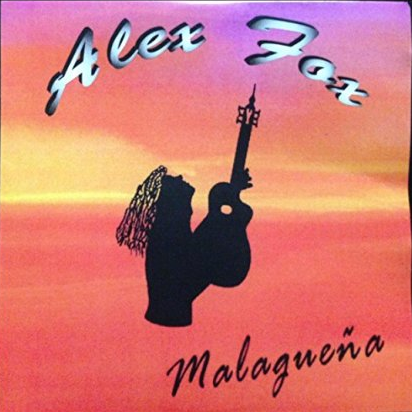 Category: CD. 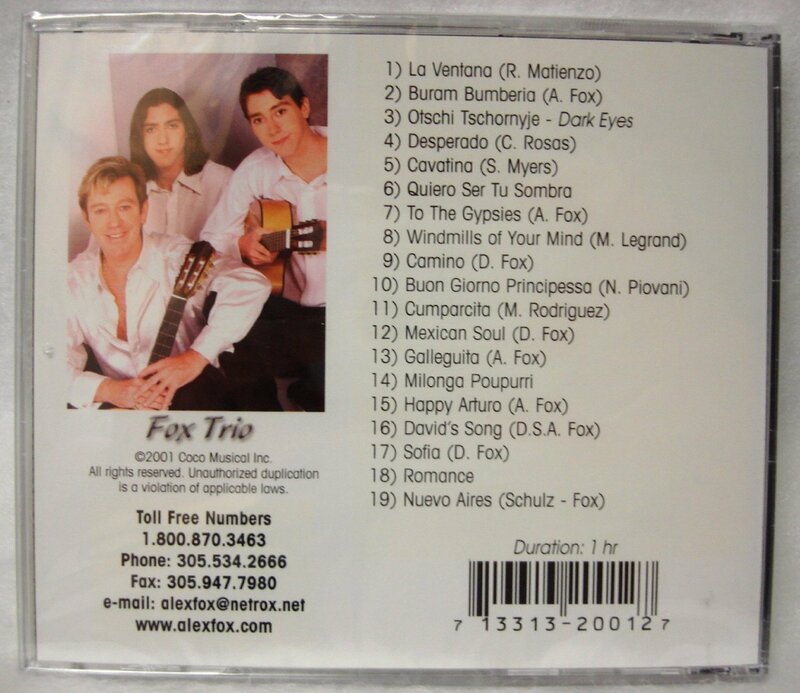 Tag: CD. 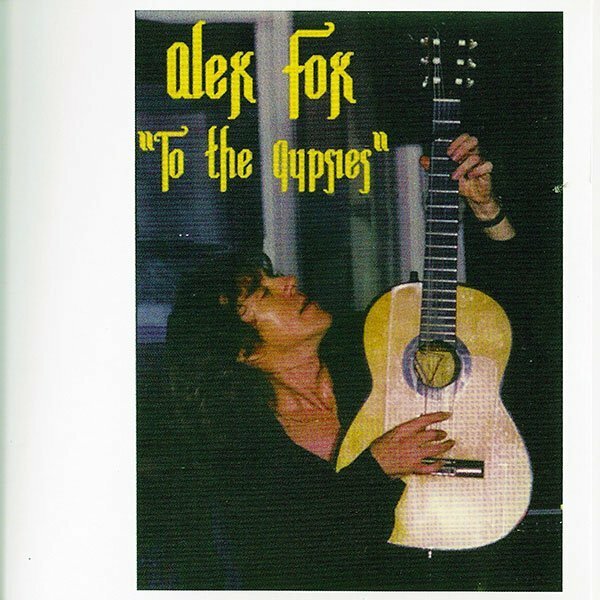 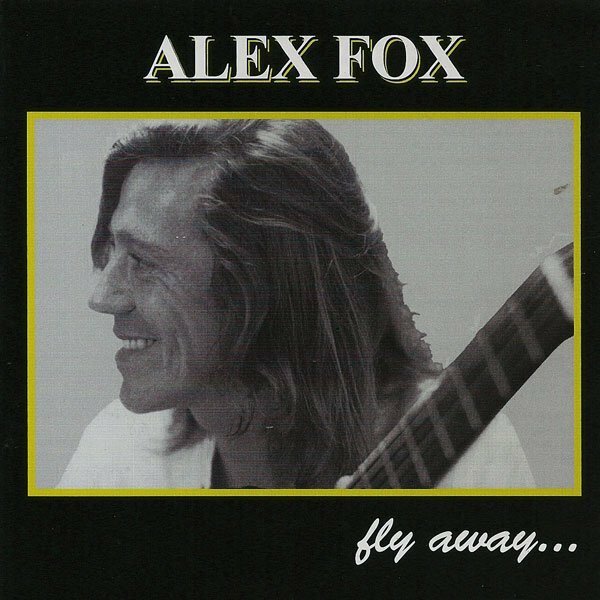 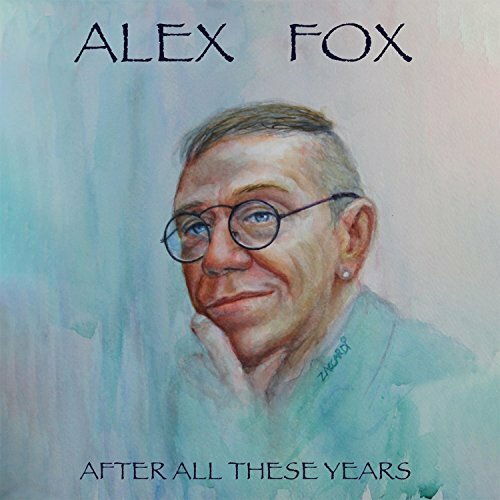 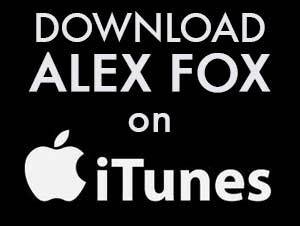 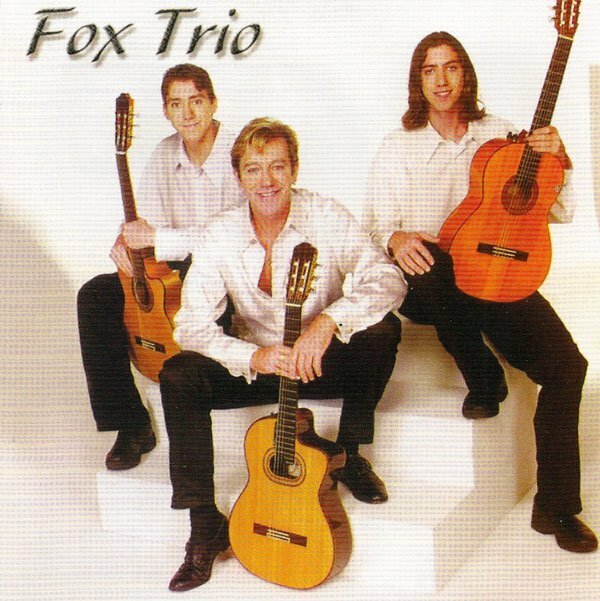 With a strong demand for a strictly acoustic guitar CD, Alex Fox has proudly released “Fox Trio” which include his two talented sons, Sebastian & David. 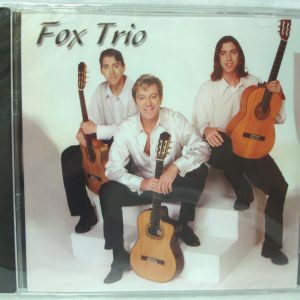 An instrumental CD featuring 12 original pieces composed by the Foxs´ and 8 famous classics such as “Desperado”, “Life is Beautiful” and “Cavatina”. 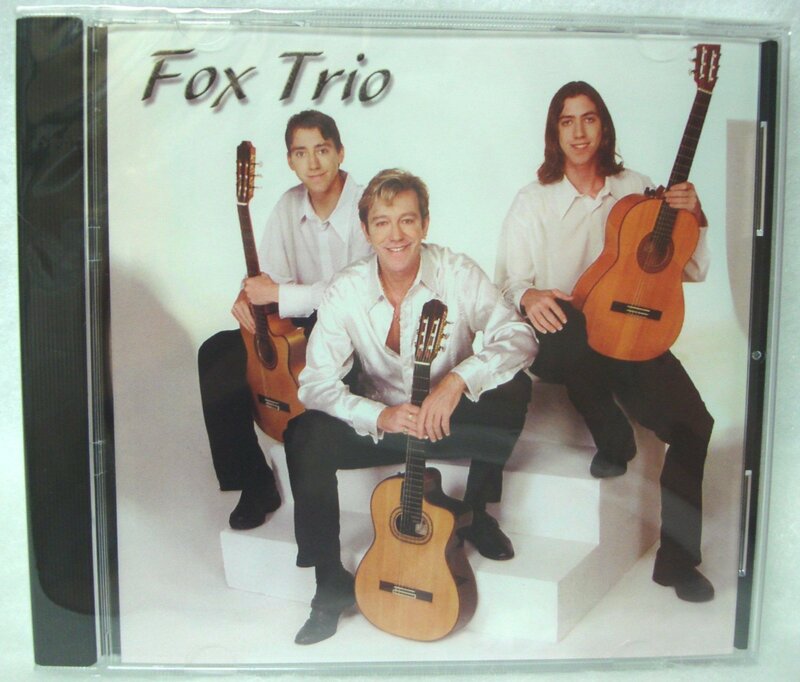 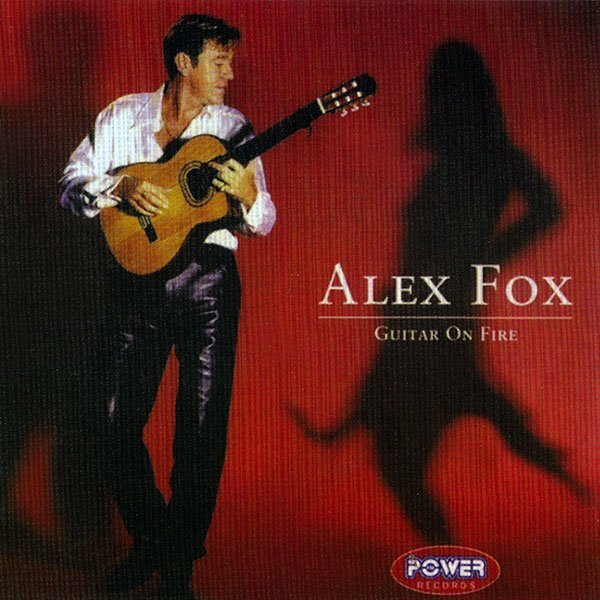 Relax and unwind with the sound of these romantic and seductive guitars which only the Fox family can offer you.